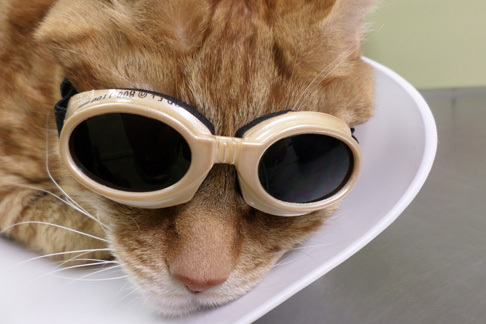 Older animals on chronic medications can benefit from laser therapy. 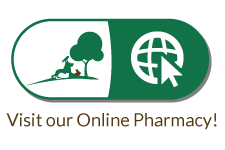 MLS therapy helps to reduce inflammation without chronic medications. Great for older animals! Cold Lasers (not the Bond movie type) have been used therapeutically for more than 25 years, and have been shown to be non-harmful alternatives to drugs in some cases. 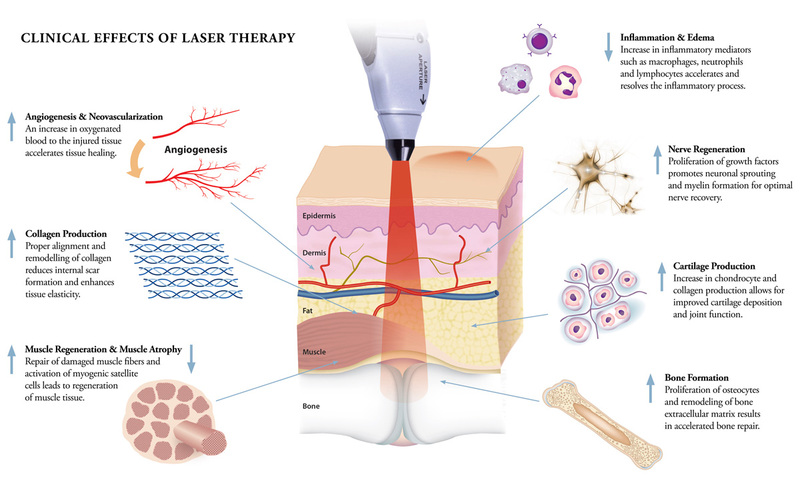 Lasers are used to treat pain, swelling, and speed healing of wounds. Our laser is state-of-the-art, using multiple wavelengths of light to provide a layered treatment. Basically, the light from the laser activates the powerhouses of the cell, giving them the energy they need to heal and regenerate faster and with less inflammation and pain. It also increases blood flow to the area, leading to longer term benefits. We use lasers on all of our post surgical cases and have seen significantly improved results. Faster healing and less pain means that your pets are back to themselves faster. 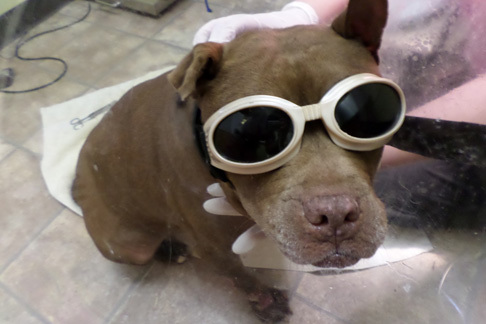 We’ve also used the laser on wounds, and have seen healing that should have taken months take weeks. 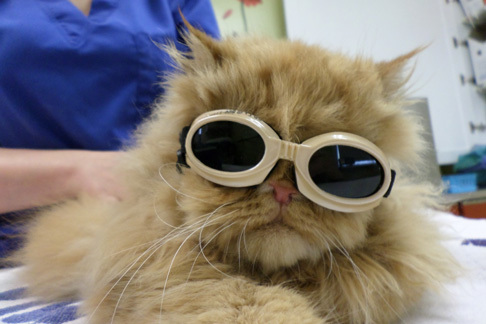 Laser pain therapy has been used on many of our patients and we have seen incredible results. Pets that were having trouble moving are acting like puppies and kittens again! Here is a really great case of an older pet feeling young again. This is Babie (the Pomeranian, not the kitten, that’s her new friend Revy). Babie is a 9 1/2 year old Pomeranian that has been suffering from increasingly bad arthritis. 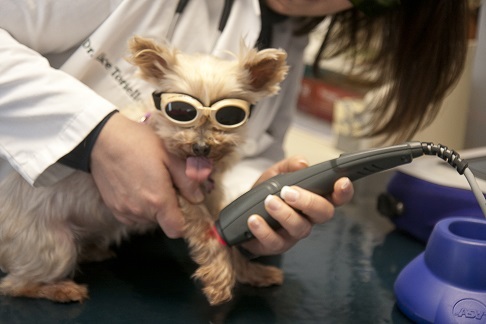 Her owners brought her in and Dr. Alice suggested laser therapy. After one treatment, Babie began playing with her new friend like a puppy again. She is undergoing further treatments, and continues to improve. We’re so thrilled that this has worked for her we wanted to share it with the world. 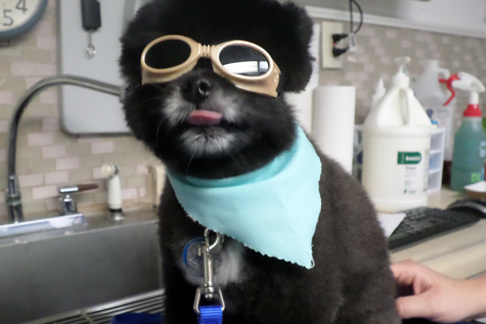 Click Here for more information about Laser Therapy.